Think about mediation logic vs. process logic. Check if need more than one server. Need to use a load balancer / HTTP server for failover and scalability. Refactoring support is limited inside mediation flows, so good to get this right first time round. 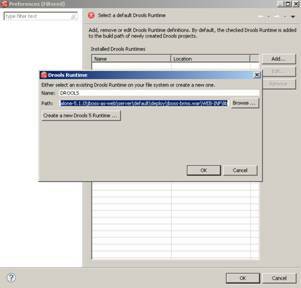 Configure default namespace policy before you start. How many mediation flows inside each mediation flow component? Large number of modules impacts performance / deployment. Small number impacts ease of development. Often binding type dictated by circumstance. Most useful for one-off coding. Cannot be re-used between modules. 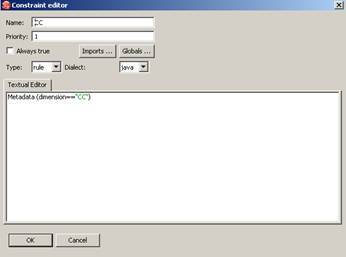 ‘Visual’ mode available which may be useful to those less comfortable with Java/SDO API. A first-class new primitive: same abilities as any other primitive type (XSLT, Endpoint Lookup…). Appears in palette in WID. More re-usable, but more work to create. You will want one; consider it before you start developing. 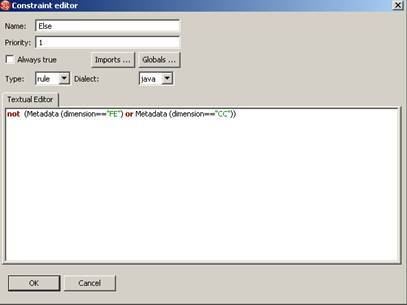 Message Logger – limited functionality – logs only to a fixed schema database table. Only one developer per mediation module at once. 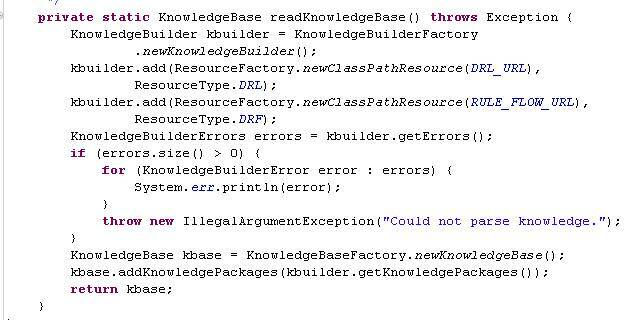 Automated build direct from source control. 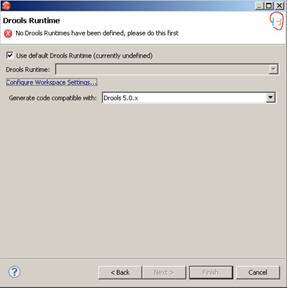 Use below link to install the BRMS Rule Engine. 4. 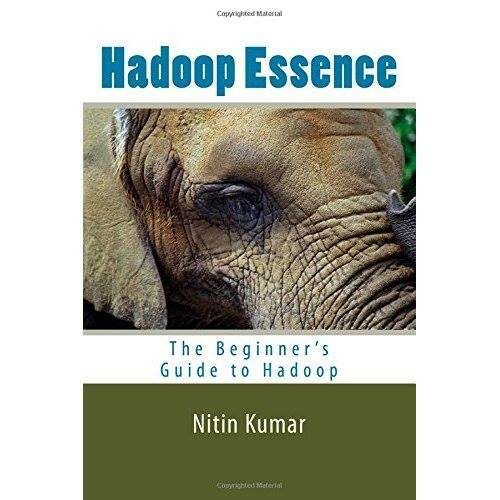 Select the entire sample as mentioned in below figure which will be providing you sample code which helps you to understand. 7. 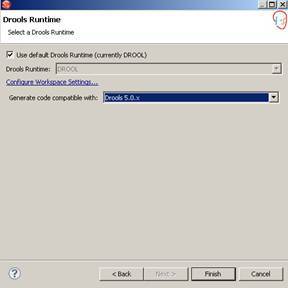 Select the new Drools Runtime environment in your project. 8. 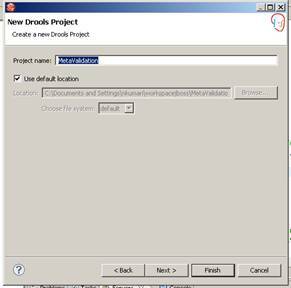 After completing you will be getting Drool project as shown below figure. 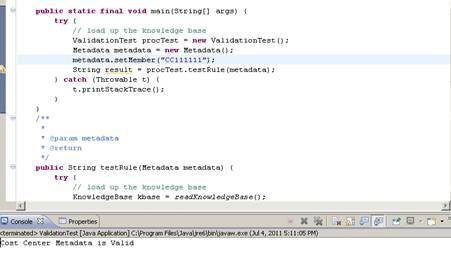 You could also see some sample rule flow, business rules and sample test classes. rule " Your Second Rule"
Every rule will be starting with rule keyword and then name of the rule. Condition will be starting with “when” keyword and then “action” keyword to process the action. We can define the rules group or salience which prioritize the execution of rules which I will explain in my next section. 4. Will create simple rule i.e. length of member of metadata should be 6. 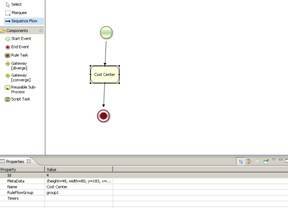 It represents that “Cost Center” rule which belong to rule flow-group “group1” uses the Metadata POJO object which assign into variable m and check the condition if length of member is 8 then show the message that Cost Center Metadata is valid. m.setMessage(..) can be used to set the message and later can be accessed into Client or Test class. 1. 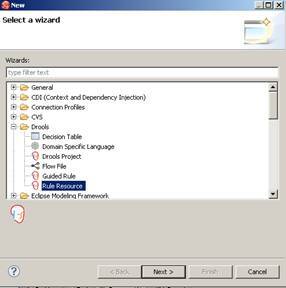 Right click on src/main/rules and select other which will open the new Flow file wizards. 2. Select the “Flow File” and click next which will move to next screen where you can give the Rule flow file name click finish which creates the new Flow File with component bar on left side. 3. 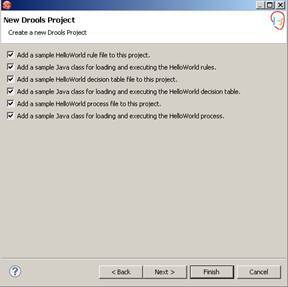 Select the Rule task and place into rule drawing pane. 4. 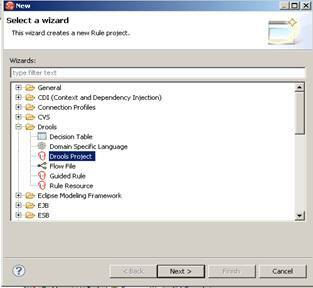 Open the Rule flow property and give the name of the Rule task and link it to with rule putting group1 on RuleFlowGroup section. 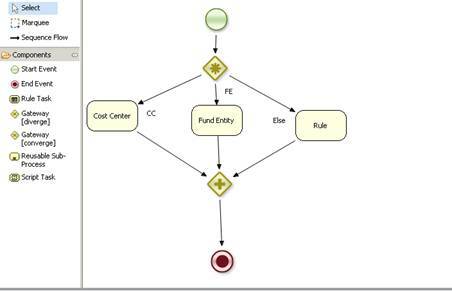 If you remember we have add the rule flow group as group1 which will link rule flow with Cost Center rul. 3. Use the below code to write the test client class. I can assume we have understood how to create the simple BRMS rules and test the same. In this section I would try to explore the complex rules creation. 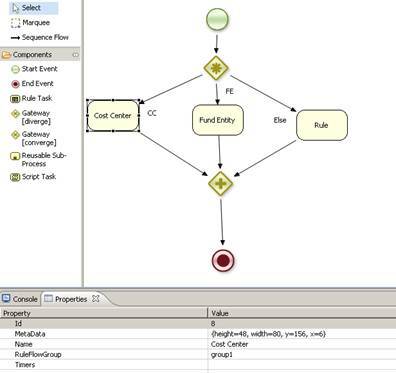 We will also learn how to prioritize & routing of rules using the rules flow. We will also see the proper use of Rule flow group. 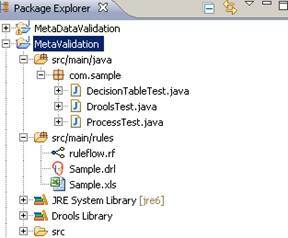 Below code depicts the different rules have been created to cater the above validation. If you see carefully explored then you will find that I grouped rules in different group’s group1, group2 and group3 . In this way we can instruct to the rules engine to run the group of rules separately. We branched rule in three category i.e. CC, FE & Else. If dimension is CC then executes the CC related rules i.e. group1. if dimension is FE then execute FE related rule i.e. group2. If dimension is neither CC nor FE then execute Else part of the rule i.e. group3. 4. 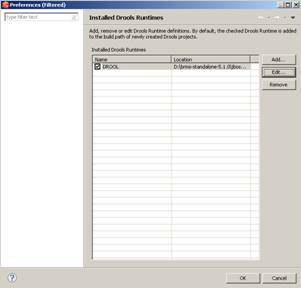 Add 3 “Rule Task” components in the pane as mentioned in below figures.